LVIC delivers the most qualified language professionals with the outmost professional integrity. LIVC can provide the right interpreter for your conferences, client visits, events, examinations, treatment, investigations, litigation, or whatever your need may be. We make it easy for our clients to schedule a language professional in virtually any language. 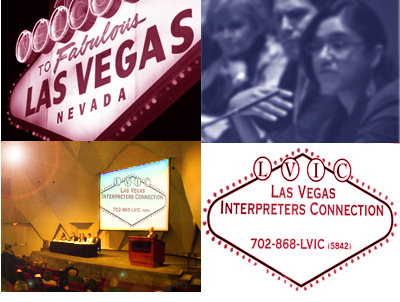 Are you in visiting Las Vegas and need an interpreter during your stay? Whether you need an interpreter for a conference, a sporting event, getting around or meeting with clients, LVIC has the right language service professional for you. Call us at 702 868-LVIC (5842) . We are easy to book and accept most major credit cards.